Dose-intense chemotherapy can be accomplished by either shortening the intervals between chemotherapy cycles or by administering the agents sequentially instead of at the same time. The sequential approach allows higher doses of the individual drugs to be used in each cycle while keeping the side effects manageable. 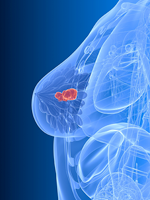 As published in the Annals of Oncology, German researchers performed a 10-year follow-up analysis of a trial that enrolled 1284 patients with high-risk breast cancer, defined as involvement of ≥4 axillary lymph nodes.1 Patients in the study were randomly assigned to either standard epirubicin (Ellence)/cyclophosphamide (Cytoxan, Endoxan, Neosar, Procytox, Revimmune, Cycloblastin) followed by paclitaxel (Taxol, Abraxane) every 3 weeks, or a dose-dense regimen consisting of 3 courses each of epirubicin 150 mg/m2, paclitaxel 225 mg/m2, and cyclophosphamide 2500 mg/m2, every 2 weeks. After 10 years, they found survival without a breast event improved from 47% in the standard-treatment group to 56% in the dose-dense group. Furthermore, 69% of the dose-dense group was still alive at 10 years compared with 59% in those receiving the standard regimen. Patients with more positive axillary lymph nodes had the greatest survival benefit from the dose-dense regimen. A combination of the 2 approaches. In each instance, the dose-intense regimen was better than standard regimens on the outcomes of disease recurrence and cancer-related death. The rate of recurrence after 10 years was reduced by 17% and the risk for breast cancer death was reduced by 14% when chemotherapy was given every 2 weeks instead of every 3 weeks. The study’s lead investigator, Richard Gray, MSc, Professor of Medical Statistics in the Nuffield Department of Population Health at the University of Oxford, UK, commented that the 14% reduction in breast cancer death is impressive given that standard chemotherapy regimens have already reduced breast cancer death by about one-third. “These increments really make a difference to breast cancer survivors just by identifying a way of improving what we’re doing already,” he said. In the trials comparing sequential with concurrent therapy, the relative risk of recurrence was 13% lower and the relative risk of breast cancer death was 11% lower in the sequential arms. Finally, in the studies combining the 2 strategies, the dose-intense regimens reduced the risk of recurrence by 18% and the risk of breast cancer death by an identical 18%. “This was quite remarkable how consistent all these different approaches were, showing fewer recurrence and fewer breast cancer mortalities,” he said. In pooling all 25 dose-intensification trials, Gray’s team found a 15% relative reduction in recurrence and a 13% reduction in breast cancer death with dose intensification. The improvements on these end points were similar in patients with estrogen receptor–positive or estrogen receptor–negative disease, and did not differ by any other tumor or patient characteristic. He noted that the dose-intensification regimens may cause anemia and low white blood cell counts and, therefore, may require appropriate supportive care to increase blood counts. 1. Möbus V, Jackisch C, Lück HJ, et al. Ten-year results of intense dose-dense chemotherapy show superior survival compared with a conventional schedule in high-risk primary breast cancer: final results of AGO phase III iddEPC trial. Ann Oncol. 2018;29:178-185. 2. Gray R, Bradley R, Braybrooke J, et al. Increasing the dose density of adjuvant chemotherapy by shortening intervals between courses or by sequential drug administration significantly reduces both disease recurrence and breast cancer mortality: an EBCTCG meta-analysis of 21,000 women in 16 randomised trials. Presented at: 2017 San Antonio Breast Cancer Symposium; December 5-9, 2017. Abstract GS1-01.